Garnet stone – is one of the most mysterious gems. It is most often found in myths and legends. Like many other red minerals grenades caused people at all times superstitious awe and unwavering faith in its strong magical properties. 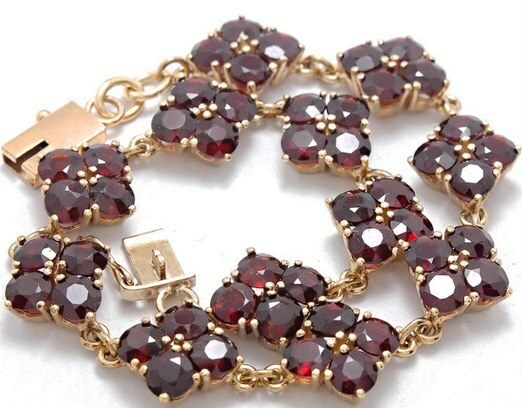 The name “garnet” started to be used only in the middle of the sixteenth century. Earlier “carbuncle”, “pyrope” were used. 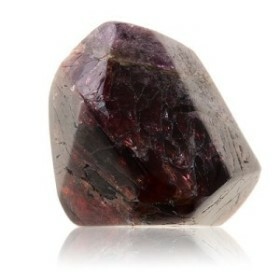 There are many legends and superstitions about garnet. For example, it is believed that the only light on Noah’s ark was made of this stone. Stone garnet symbolizes Christ’s sacrifice in the Christian religion. It is believed in Islam that it illuminates the fourth heaven paradise. Pyrope was sacred for the Mongols. They believed that it was a piece of petrified volcanic flame or dragon blood. Soldiers from Tamerlane’s army, if you believe in the legends, drank wine from pomegranate cups before the fight. They believed that this would give them courage and strength. Persians worshiped garnet. It was called the royal stone. Rulers’ portraits were engraved on it. Indian tribes Maya and Aztecs thought this gem sacred. It certainly was a member of 12 stones that adorned the High Priest garments. During the Crusades, the crusaders considered garnet victory talisman. Because red garnet is the color of blood, Indian people believed that it could cause more damage to the enemy than the metal. Therefore, arrowheads were made from garnets. 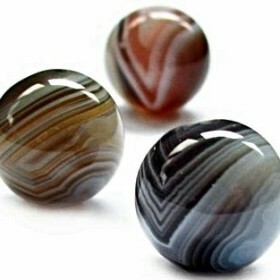 And in 1892, the Indian rebels Hunza used that semi-precious stone as a material for bullets during the uprising against the British in province Kashmir. Color varieties of garnet include the entire spectrum: from bright red to purple. If you simplify, the red stones are called “garnet” and green – “olivine”. Almandine – red, red with a purple tint and red-brown. Pyrope (Carbuncle) – red, orange, with the effect of changing colors, violet-red. Spessartite – pink, orange, yellow and brown. Majorite – a very rare variety of purple garnet. It was discovered in Australia in 70 years of the twentieth century at the crash site of the Koorara meteorite . For a long time it was thought that the only color that could not be considered to have the stone was blue. But in the late nineties of the last century garnet was discovered near Beliky (Madagascar) that looked like an alexandrite. They are often confused because this mineral, like alexandrite, has the ability to change its color throughout the day with a blue-green to reddish-purple. Garnets are rarely counterfeited because of their small size. But it is worth remembering that the natural stone, most often, does not exceed the size of a coffee bean. So if a mineral that is offered to you is larger – there is a reason to think. 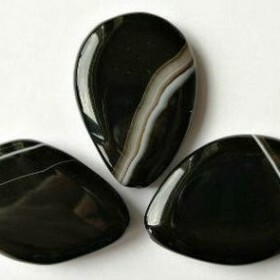 One of the easiest ways to check on the authenticity of the stone is selection of the method with a magnet. The fact that the garnet, as a number of other minerals, tends to be magnetized. To check the stone in this way we need a very accurate scale, a piece of wood or wine cork and mineral that you will check. The plug is placed on the scale to isolate the stone from other radiation, and the crystal is put on. Then you need to bring the magnet close to the gem. If there is a real garnet in front of you the weight is reduced. You can also try to scratch glass with garnet. Since this mineral is harder than glass, it should remain scratch. Colouring genuine garnet is never uniform. 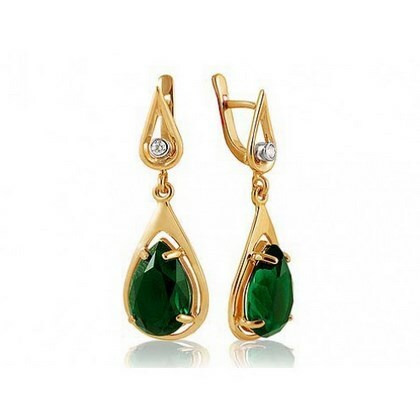 This gemstone is not in vain has got its name in honor of the phoenician apple. Its crystals are like pomegranate seeds to a hair’s breadth, up to shine and play of colors. The main magical property of garnets regardless of color is passion. They are able to open and strengthen in the carrier insurmountable and cravings. Alas, this often leads to sorrow for the host of the stone. So wearing the mineral is very cautious. It is believed that red garnets become brighter when a man overcome by obsessive desires wears them. Their brilliance is enhanced and becomes downright bloody. Therefore, garnet as a mascot is suitable for those whose profession requires full commitment and emotions: actors, artists, filmmakers and musicians. 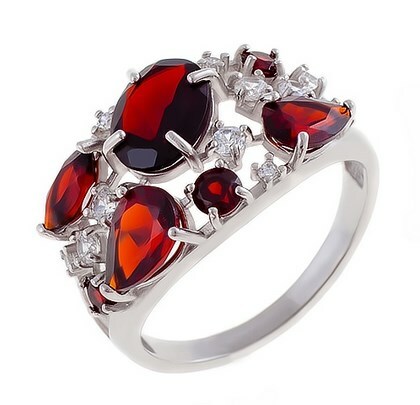 Red garnets always caused a lot of gossip, because they can quickly become darker and lose color saturation. This was considered a bad omen. However, according to one version, such metamorphoses occur with a crystal if its owner is an insincere, lazy or disingenuous person. There was preserved the story of how a jewelry store was robbed in Italy in the XV century. Among other decorations, the thief took the gold chain studded with bright garnets. When he was caught, it turned out that the stones on stolen chain darkened strongly and became dull. But as soon as the chain was in the lawful owner, minerals started again to shine and have rich color. Garnets, got dishonestly, doom that person who stole them, for long suffering and painful death. Different peoples and in different times have stories about it. But the one to whom the stone got an honest way, it will support fully. Among the magical properties of the stone is the ability to protect its wearer from enemies or to identify them. In addition, the mineral will help achieve the desired ambitious and dedicated people. Garnet is well suited to women. It is recommended to wear unmarried girls to meet their soulmate. It is believed that this stone helps to find love. And it will help pregnants successfully coming forth. The Greeks believed that garnet can protect a child from accidents on the water. Red garnets were held in high esteem in the military. It was believed that minerals can stop the bleeding and protect from injuries, and if on a stone engraved image of a lion, it will not just protect the host’s health, but also help him win the respect of others and defend his honor. Red garnets were ascribed magical ability to maintain friendships. Therefore decorations with the mineral were taken to share at parting to be confident in the new meeting. In the Urals people believed that uvarovite is a talisman of loyalty and family happiness, which can ignite the passion in a man. These beneficial properties are widely used by married women. They sewed uvarovite into their husbands’ pillows. Sluggish and passive people shouldn’t wear garnet – it just will deprive them of power and wear down. For the same reason you should not wear the gem when you need peace and relaxation. Garnet is a stone those who act. It will just spur the owner to do something or to aspire to somewhere. It is interesting that garnet helps women on the contrary find wisdom and concentration. It seems to be balancing their emotions and passions. If a person has experienced grief or has serious problems – he just needs garnet. This gem is famous for the fact that is able to take the bad emotions and inspire hope in that he can get out of any situation with honor. In the east, garnet was used as a remedy for the plague and poisons. It was worn to preserve the health and increase energy. It was also believed that the mineral could cure jaundice and fever. Necklace with garnet gives its owner vitality and energy. A pendant in gold helps to cope with lung disease and cure colds. Garnet is good for the treatment of angina and reduces inflammation. It should be worn in a silver frame to show these properties. 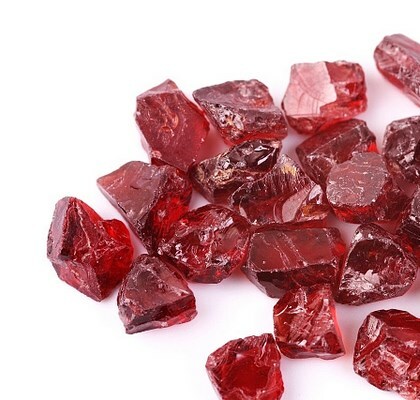 All red garnets are credited with medicinal properties associated with blood. It is believed that the gems improve its clotting, help bring the body of toxins and protect from bleeding. Garnet is suitable for people born under the sign of Virgo. It will give them the missing warmth. Garnets will give Sagittarius power over people which they need to satisfy their passions. Pyrope is best mascot for Scorpio. Olivines will give happiness in business and protection from enemies and evil spirits to Leo and Sagittarius. But this gem does not fit Pisces at all.